Editor's Note: I've added a link at the bottom of this post to an Op/Ed written by Dunwoody's own, Bob Dallas on this subject. It was published by the Atlanta Journal Constitution last November. Last week, a tragic event unfolded when a 14 year old girl riding her bicycle from school was killed in a crash by a motor vehicle in Atlanta. She was crossing the intersection of Monroe at 10th street, where there is a transition from a 2-way on-street cycle track, to a “pedestrian” crossing, to the Beltline (14-ft wide multi-use trail). 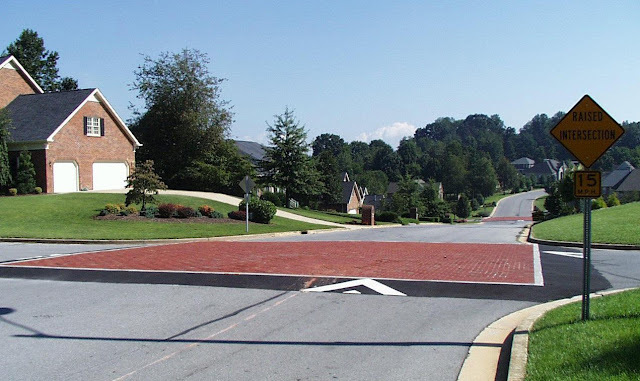 In Dunwoody, let’s adopt a Vision Zero policy and put the safety of the most vulnerable users as the number one criteria for our streets and public passage ways. In light of this tragedy, we need to insure that internationally-recognized best practices and engineering features are being planned across our city. 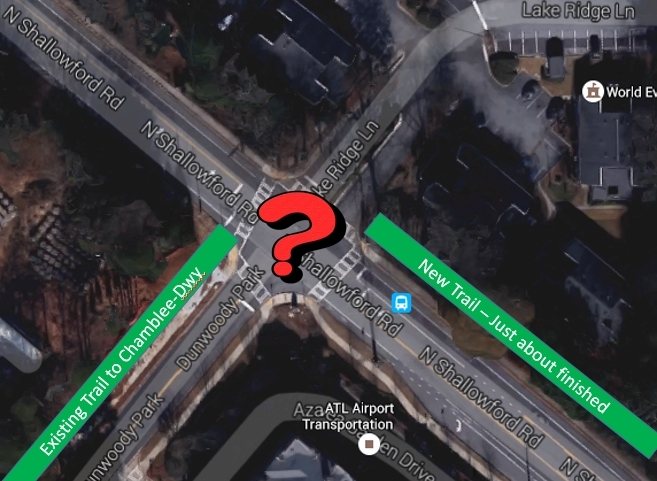 And all the more important & timely is for the intersection of North Shallowford & Dunwoody Park / Lake Ridge Lane (apartment complex entrance). This is where the Dunwoody Trailway will cross, connecting Brook Run to Chamblee-Dunwoody. The trail is expected to be open and completed within the next 60 days. 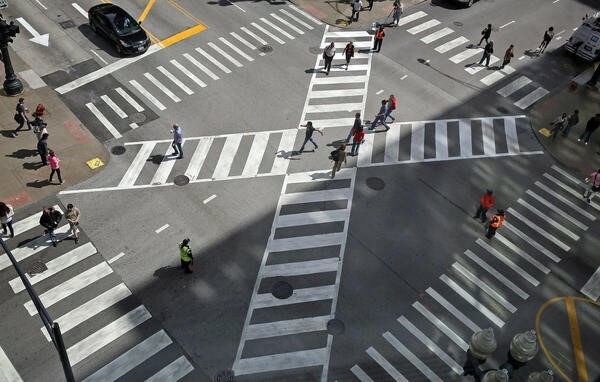 PRIOR to it's opening, we must create a safer way for people to cross. How will persons traveling on the trail cross the intersection? As a default, will they have to cross twice? From west to east for example, they would: 1) Push the ped crossing signal; 2) Cross North Shallowford; 3) Stop & push the signal to cross Lake Ridge Lane. 4) When activated, cross onto the trail. 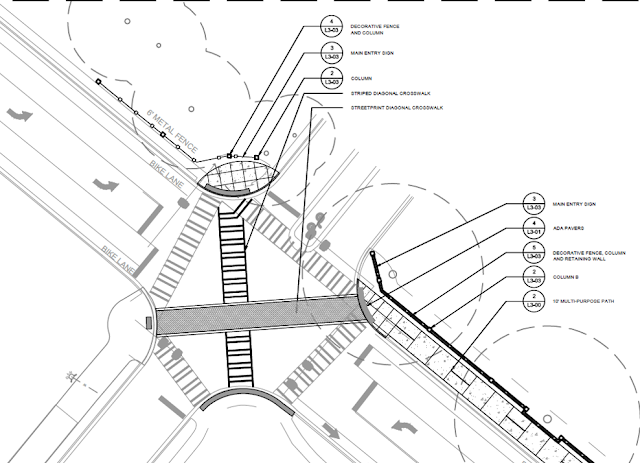 Pedestrian scramble phase (Diagonal Crossing) has been incorporated into the design of the trail at this intersection!! Chicago: State Street and Jackson Boulevard. Former director of the Georgia Governor’s Office of Highway Safety, serves on the MARTA board and as chairman of PEDS, an Atlanta-based pedestrian advocacy group. 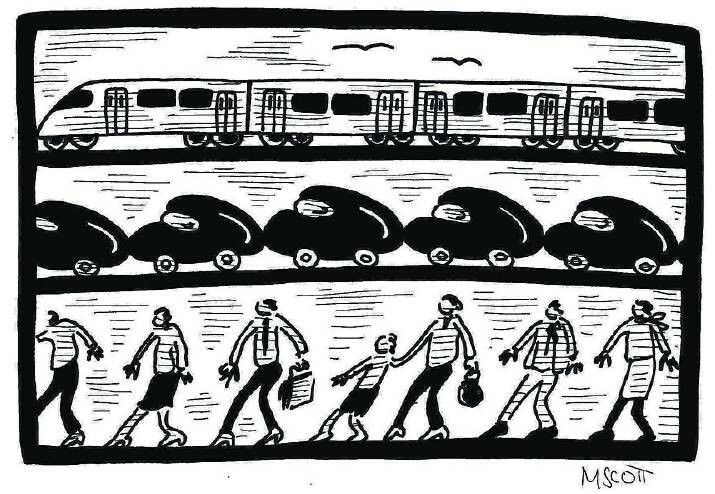 As we read about lives cut short due to traffic crashes, we generally attribute the loss to a mistake; yet no driver, pedestrian, or cyclist intends harm on our roadways. 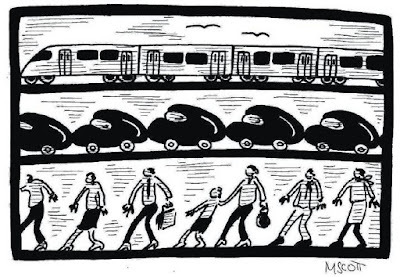 While all roadway users are responsible for their actions, all users are human and all humans make mistakes.